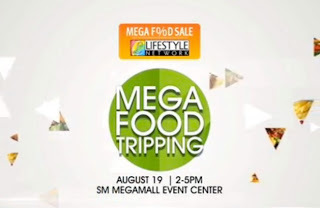 The Lifestyle Network brings their very own stars for cooking demos and ‘meet and greet’ sessions at the Mega Food Sale event this Sunday (August 19) at SM Mega Mall as part of the mall’s Mega Food Sale. Love food, Love the Lifestyle Network! Lifestyle Network Chefs, Hylton Le Roux of Market to Master, Sharwin Tee of Curiosity Got the Chef and Sabrina Artadi of Sabrina’s Kitchen will showcase their cooking prowess while Karen Pamintuan of LISTED will host the mini-event. 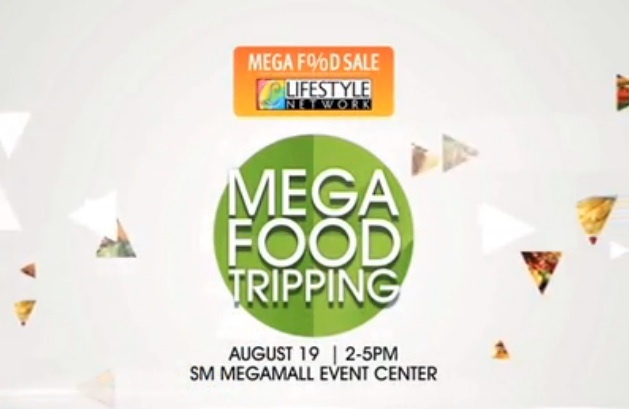 The Mega Food Sale, participated by over 100 dining establishments runs from August 17 – 19. Catch big dining discounts and promos, huge price offs and freebies offered by your favorite restaurants - Buy 1 Take 1s, Eat-all-you-cans, free appetizers, free desserts, free drinks, and many more. Also get a chance to win an all-expense paid food trip to exciting destinations like Hongkong, Singapore, Thailand, and Vietnam. Don't miss the chance to learn quick and easy recipes from Lifestyle Network's culinary experts this Sunday (August 19) as well at SM Mega Mall. For more updates, like their Facebook page at www.facebook.com/LifestyleNetwork. Lifestyle Network is aired on SkyCable channel 52.